With more than 3,500 current international students from 111 countries, Seneca College has a proud history of welcoming the world through its doors. 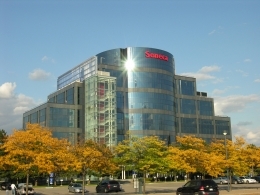 Seneca’s reputation for excellence is supported by more than 70 partnerships with universities in Canada and around the world. These partnerships represent exciting pathways to further education and opportunities. Seneca students also have a chance to gain valuable work experience through the college's co-operative education programs. The application requirements are different for different programs. It depends on the program that applicant is going to study at Seneca.